It’s been awhile since I was last here … once again, life and work have got in the way of all my good blogging intentions. 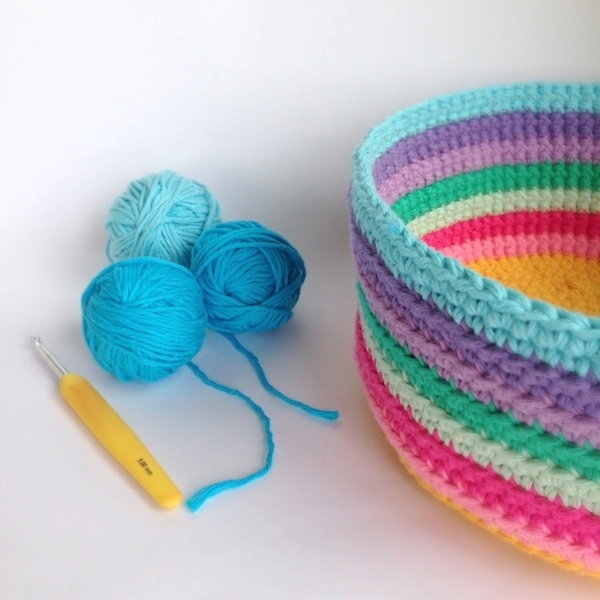 A few weeks ago my yarn basket snuck into a few of my pics over on instagram and fb and requests for the pattern were made. 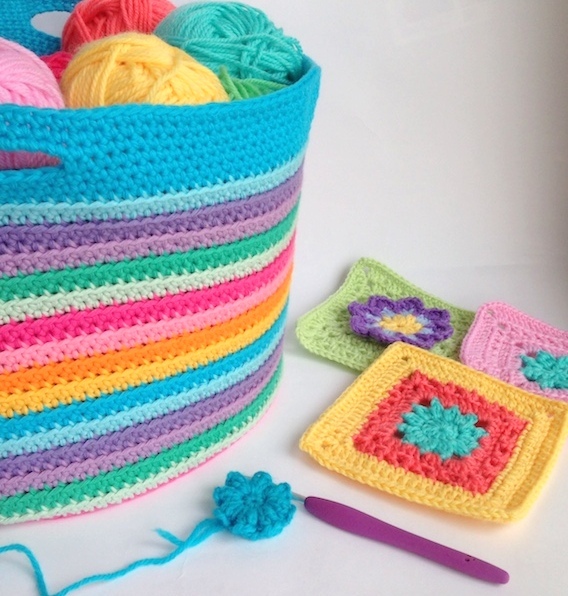 I nearly didn’t post this as there are so many fab crochet basket patterns out there already but here is my version. Enjoy! 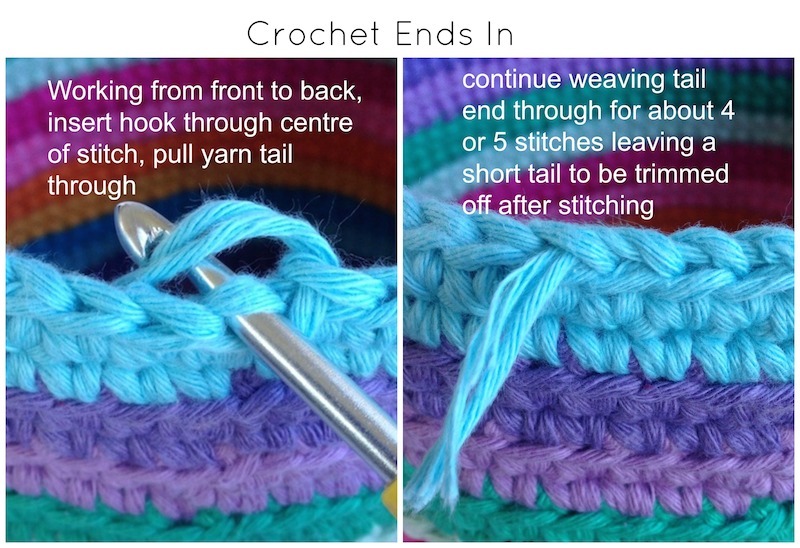 To secure the join, crochet the tail end in working in the opposite direction you have just been. Your tail end will be locked in after you have woven them in this way and then crochet over them in the next round. Okey dokey, now we’ve got all that sorted let’s start making! Round 1: 6 sc into ring. Round 15: *13 sc, 2 sc into next st.. Repeat from * to end (90 sc). Finish with invisible join. Fasten off. Note: All colour change rounds are worked into the back loop only (blo) and the second row of the same colour is worked into both loops as normal. Round 2: PM in first st, sc 90. 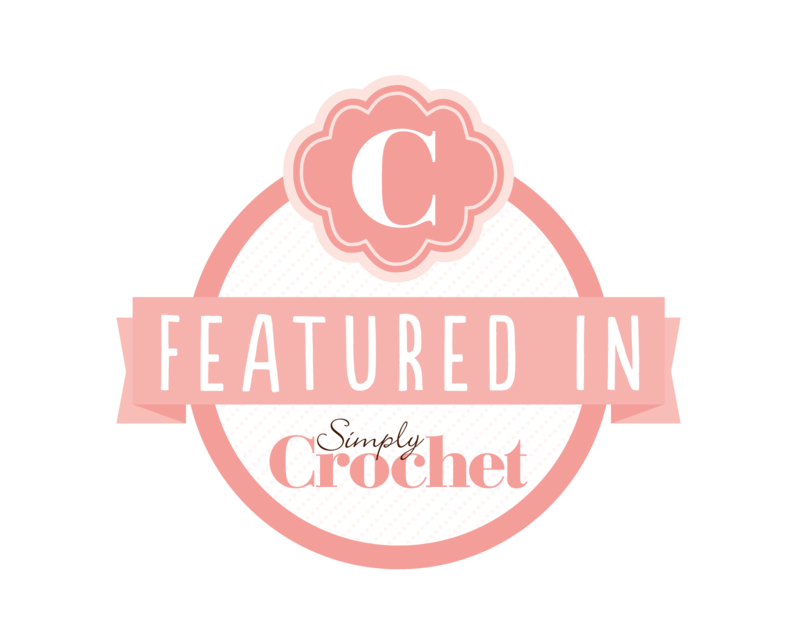 Cut yarn, finish with invisible join and crochet ends in. Rounds 3–36: Repeat Rounds 1 & 2, changing colour every 3rd round. Round 39: PM sc 90. 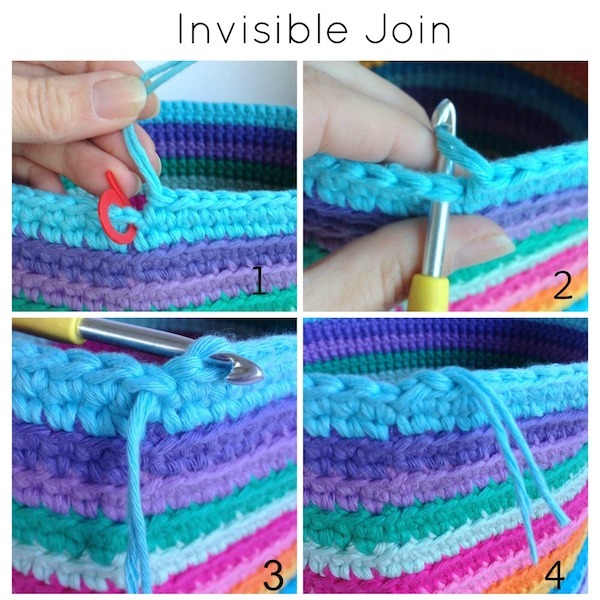 Cut yarn, join with invisible join and weave ends in. 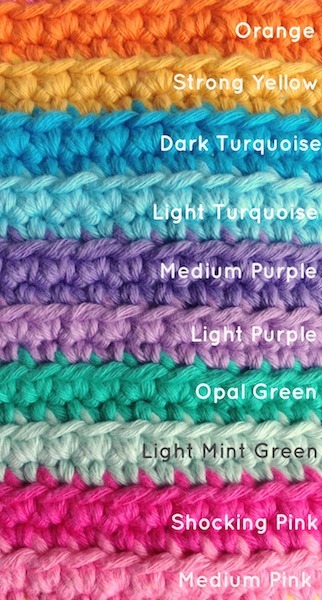 This stitch is worked the same as a single crochet but is worked from left to right instead. My original version of the basket. 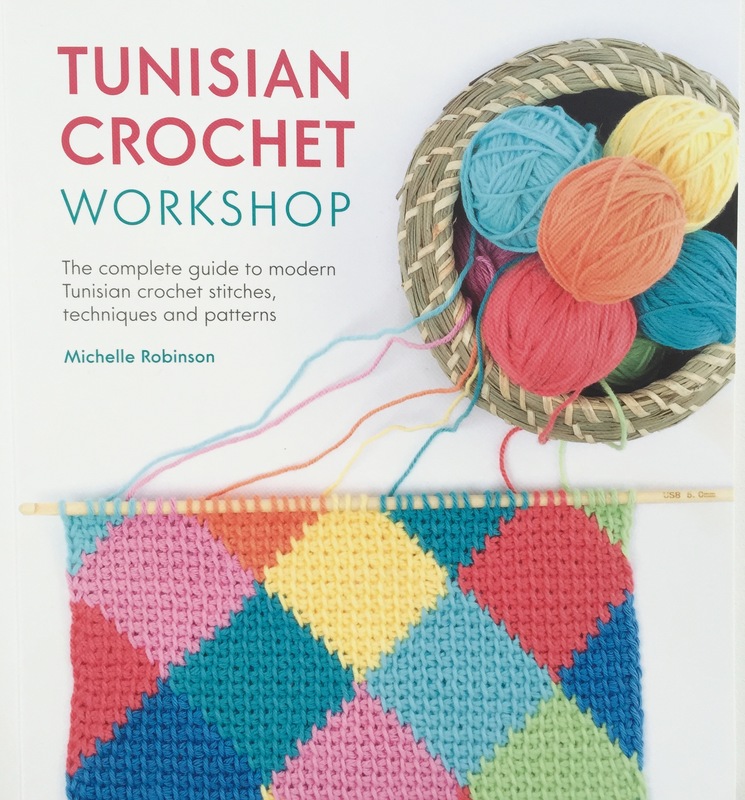 This one is shorter and wider than the above pattern. 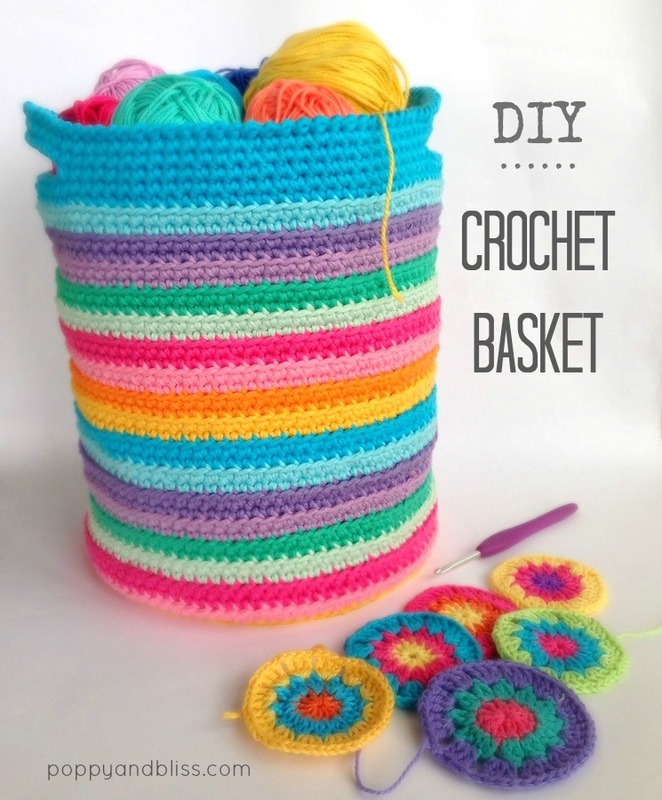 It was also made using only one strand of yarn so it’s floppier than the new and improved version. Until next time, happy hooking!